Much Internet ink has already been shed / spilled over the Apple vs. Samsung case already, but I need to get some thoughts out of my head and down into a blog post before they drive me insane. So, bear with me, dear reader, as I add more fuel to fire, or take another swing at decayed corpse of the horse (take your pick). 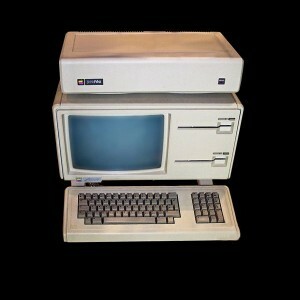 In 1982, Apple released their Lisa computer. Lisa isn't nearly as well recognized as the later version of Apple's GUI-based computer (the Macintosh). Development on this project started around 1978, and in 1979, Apple negotiated two tech demos at Xerox's PARC to demonstrate the Star project (the fore-father of today's modern graphical interface). Those demos lead to significant improvements to both the Lisa and Macintosh projects (which were roughly a year apart in development). Had Xerox filed suit around this time for blatant copying, the computer as we know it would be a markedly different beast. But, Apple had a significant amount of time with which to grow it's market-share and mind-share in the graphical user interface space. Few would argue that Apple didn't blatantly rip off Xerox's designs, and profited greatly from them. Microsoft licensed parts of Apple's GUI for Windows 1.0 (which was essentially a crappy GUI shell over DOS). When Windows 2.0 was released, Apple filed suit, and added additional claims when Windows 3.0 was released. Apple's claims at the time were that the "look and feel" of the operating system could be protected under copyright. Xerox became indignant, and sued Apple, saying in effect: "Hey, you copied from us, so if you're going to get bitchy about look and feel, we're going to get bitchy right back". Unfortunately, like most legal matters, the suit between Microsoft and Apple became more about the licensing agreements, not about the merits of the claims. At the time, it was argued that look and feel was more of a trademark issue, and Apple was able to remove elements of Digital's GEM interface (used on the Atari ST, and PC computers) because they looked similar enough to Apple's own operating systems. (Funny enough, I'm not able to find a similar case between Apple and IBM over OS/2. Something tells me Apple chose it's battles carefully). Fast forward to today, and the recent ruling over Samsung's copying of Apple elements and the subsequent $1 billion dollar judgement against Samsung. Today user interface elements have patent protections not afforded to Xerox and Apple back when the Star, Lisa and Macintosh projects were developed. Had Xerox been able to patent their OS and GUI elements, we'd be looking at a completely different desktop today. But, because Xerox didn't patent, and Apple was able to copy, we have a richer desktop environment. It's only by Apple's machinations to greedily declare they are now the sole proprietors over certain interface elements that we find ourselves in a sticky scenario where one company can declare a certain mindset as their own. This is the same nonsense that can allow someone like Walt Disney to take a story from the Public Domain, re-work it a bit, and then claim that nobody else can release a movie / book/ whatever using that story. And we, the people who should vigorously defend the Public Domain from people who would otherwise lock up it's vast content blithely sit by and allow companies to lock these ideas up because they did some non-trivial work to adapt it. In the Creative Commons, there's a clause called "No Derivatives". In brief, it states the author of the work wishes their own work, to the extent copyright law allows, is not to be reused in a transformative way. When we make our culture, our gestures, and our way of thinking owned by companies that are more than eager to take from others, but not allow others to take from them, we devalue our ability to express ourselves creatively. And nobody should willingly give up their freedom to create. As Pablo Picasso is credited: "Good artists copy, great artists steal". And, as Steve Jobs is quoted: "Good artists copy, great artists steal". Apple, please let us be great artists again.